Have you been dreaming of visiting the amazing city of Kyoto? Check out our itinerary below and explore the best things to do Kyoto has to offer! 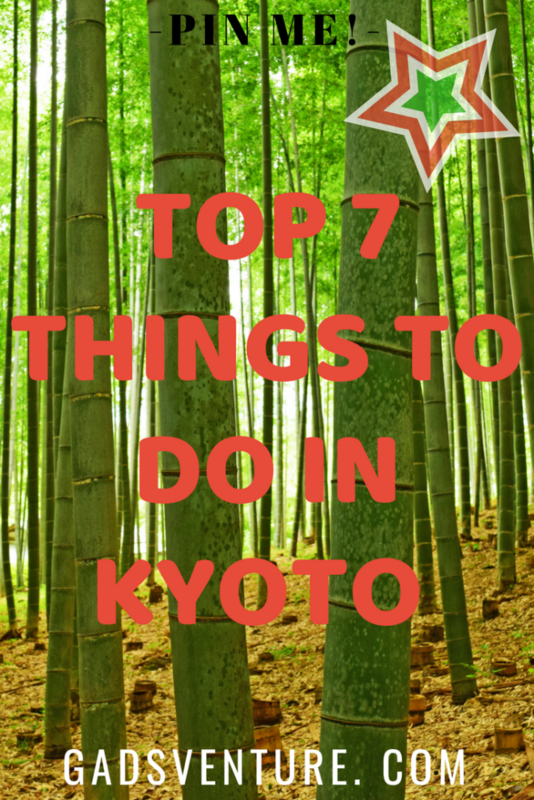 5 nights in Kyoto would be the perfect amount, this would let you see our favourite things to do with enough down time in between. 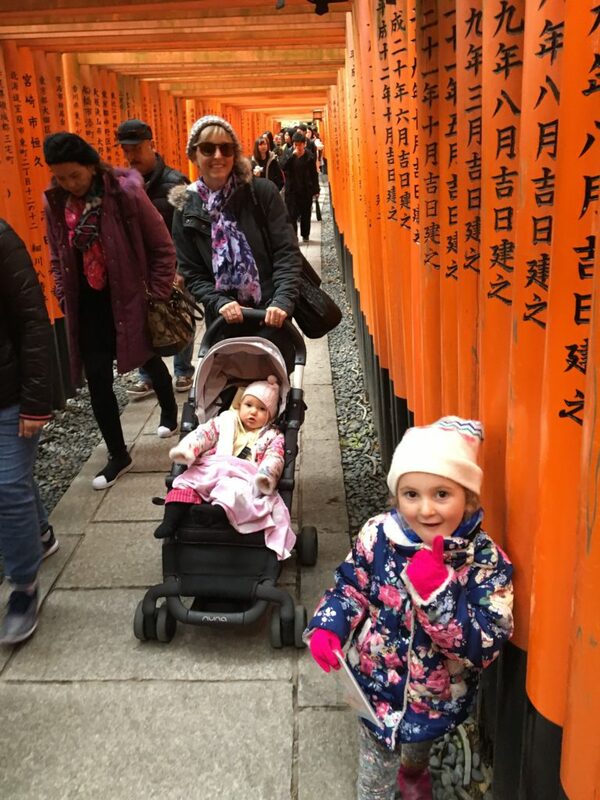 We travelled through Japan for 2 weeks with our family of 6 so we know how important it is not to rush and to give the kids plenty of free time, not just sightseeing time! 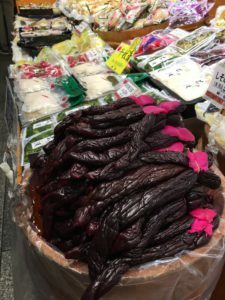 This 400 year old gem of a market place follows a narrow undercover alley which houses the most incredible array of Japanese foods often cooked right in front of you. There are souvenir stalls, sweet shops, the freshest seafood, noodle shops, umbrella stores, and more. The atmosphere is electric as you thread your way down between the polite and friendly locals looking for your next snack. Eat your way from one end to the other, then turn around and head back and try the ones you miss the first time. This is such a fun and colourful way to spend a day. Don’t be afraid to try everything once in this food lover’s paradise! 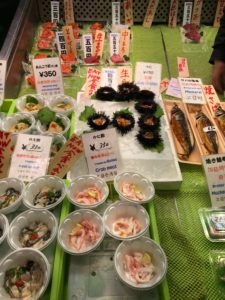 If you have any room after the incredible array of delicacies you have sampled, head to the basement of the nearby Daimaru Department Store for a stunning example of a food court. Japanese do it best! My absolute favourite and the most impressive temple complex in Kyoto would have to be the Fushimi Inari Taisha. It is a vast and impressive group of working temples on a hillside just out of town with those oft photographed red frames. On the approach to the temple is yet another food lover’s dream with a lane chock filled with more delicious street food. 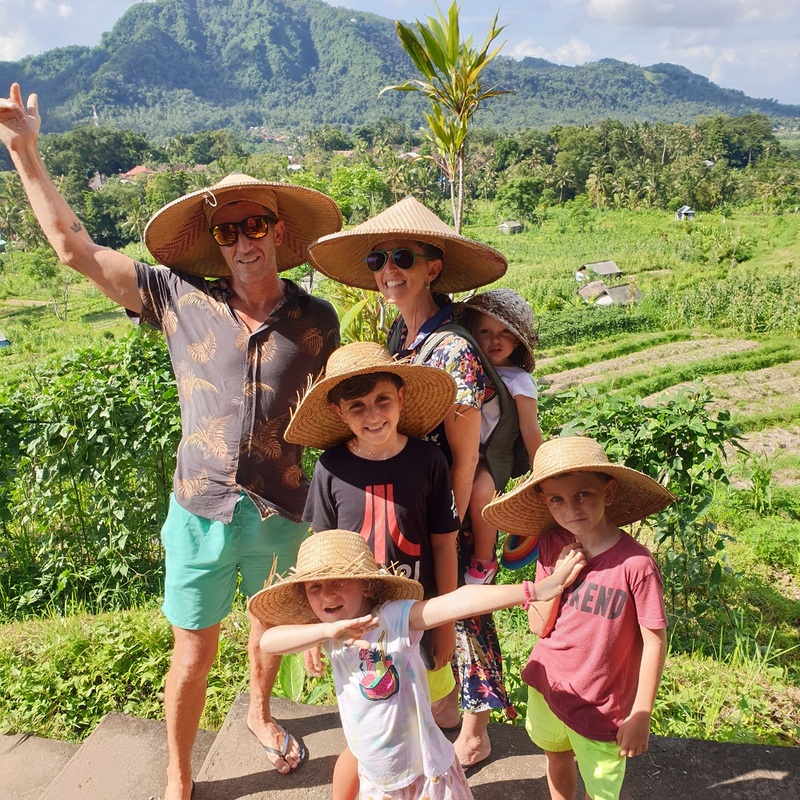 Eat to your heart’s content on the way in, wander around the many kilometres of forested pathways and stunning temples, and then eat some more on the way out! The easiest way to get there is to catch the train all the way to Inari station and walk up the hill from there. Another very important temple to visit is the sparkling Kinkaku ji. 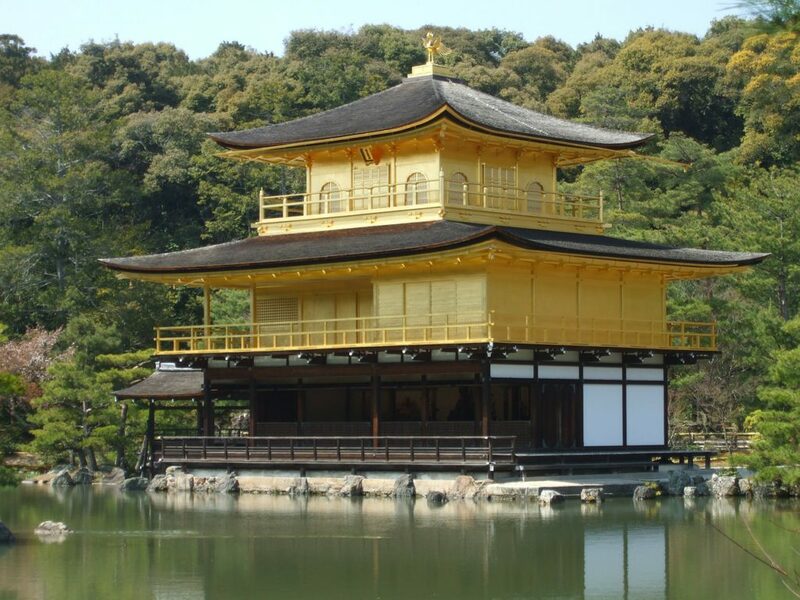 Along with the famed red gates of Fushimi Inari, the other site that is so quintessentially Kyoto is the beautiful gold pavillion of Kinkaku ji situated on the reflective lake waters. If you want to experience the majesty and serenity of the temple, I suggest you get there early, as it is one of the most visited sites in town and gets super crowded. To-ji is another famous Kyoto temple with a spectacular 5-storey pagoda that is definitely worth a photograph or two! 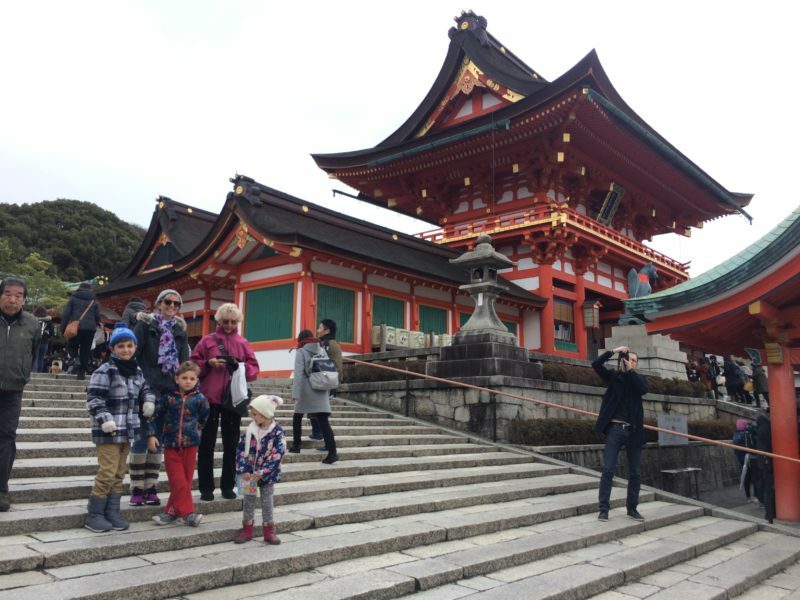 Kyoto has a large variety of Zen, Buddhist and Shinto shrines in different settings and if you wanted to visit all of them, it would take you more than a week. 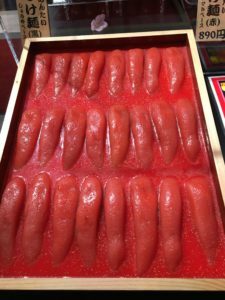 We only spent a few days in Kyoto on our last visit and, with the kids, had to make sure they didn’t get ‘all templed out’ so we just checked out the most famous ones. I bet there are plenty of hidden gems among the lesser visited temples. Some more names to look out for are Kyomizu-dera, Nijo Castle, Ginkaku-ji, Ryoan-ji, Nanzen-ji, and Shimogamo to name but a few! A serene and wondrous bamboo forest with winding pathways interspersing lush gardens and groves, water vistas and plenty of monkeys. You really must get here early too to avoid the heaving population of both local and international tourists. It is a favourite, and is well worth a visit. 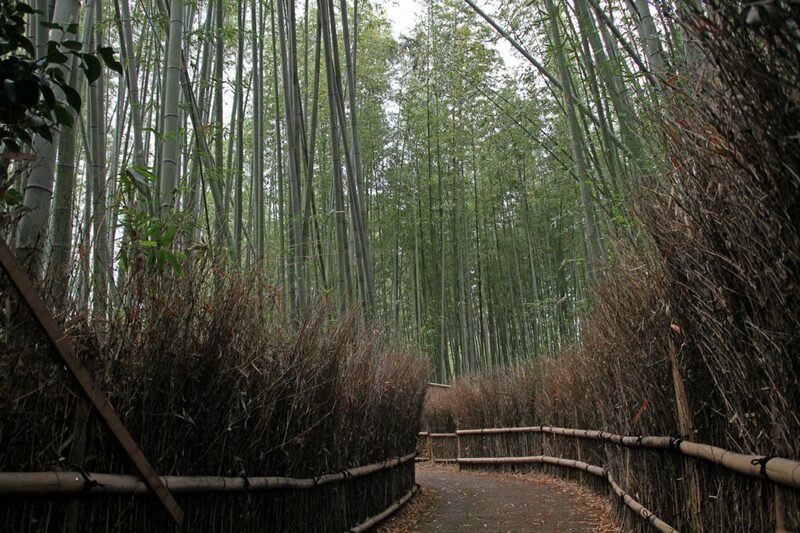 It is easiest to catch the bus which brings you to the Western outskirts of town to visit Arashiyama. 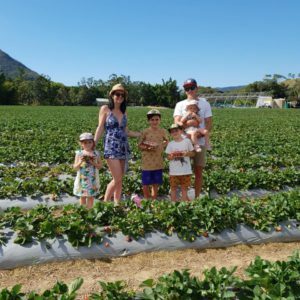 This is Nationally recognised as a designated Place of Scenic Beauty and it is easy to see why. This is the atmospheric and mysterious realm of the Geisha. Perhaps the most interesting part of old Kyoto, the historical significance of this area is both intriguing and bathed in secrecy. Geisha girls entertain businessmen behind shadowy doorways, the domain only, it seems of the wealthy. Just wandering the streets gives you a wonderful feel of the place. 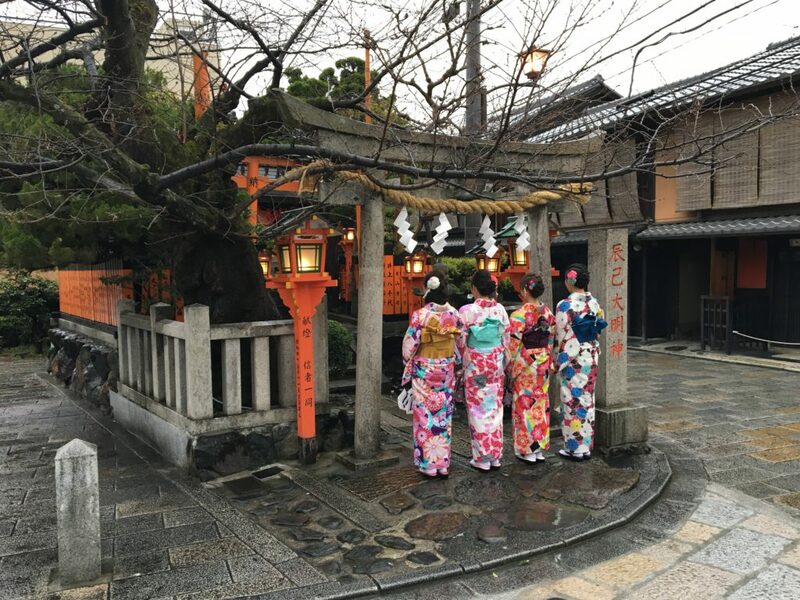 You will often see colourfully dressed hostesses or apprentice geishas hurrying about around the Philosopher’s walk, or the wooded Tatsumi Bridge. It also appears to be a trend for local tourists to come to Gion, dress up as a geisha for the day and tour the city by rickshaw. In spring, the area around Philosopher’s Walk comes to life with a row of cherry blossoms overhanging the peaceful creek. A very scenic spot. A popular park in the city with colourful vistas depending on the season. It is the best place in town to witness the picturesque autumn reds, oranges and yellows as well as an impeccable example of cherry tree blooms in the spring. 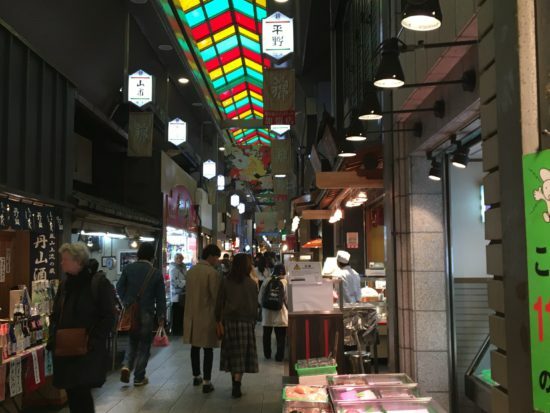 The main city street around Shijo Dori has some great shops aside from the awesome department stores. 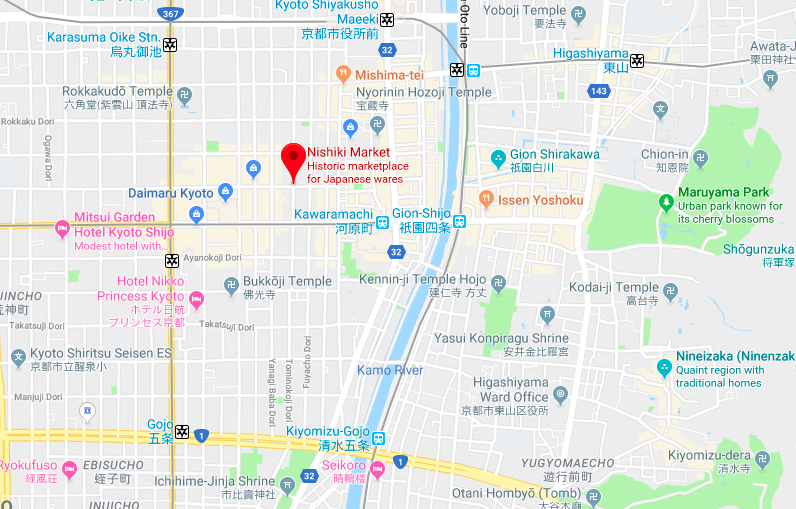 Here you will find amazing boutiques and fashion designers at home next to a flag ship Disney Store and a Sanrio shop which my kids absolutely loved! If you have kids, and have an extra day to spend here, a day trip to the Deer Park at Nara is another ‘must do’! From Kyoto Station to Nara, it only takes 35 minutes by Shinkansen on the Kintetsu Nara Line (Not valid with JR Pass) or 45 minutes on the JR Line (for JR rail pass holders). The Deer park is home to hundreds of free roaming deer which are considered by the Shinto to be messengers from the Gods and so sacred. It’s a pretty cool way to spend a day, and the kids love it! We found an Airbnb which was a traditional Japanese house within walking distance to most of the attractions listed above. It was perfect! 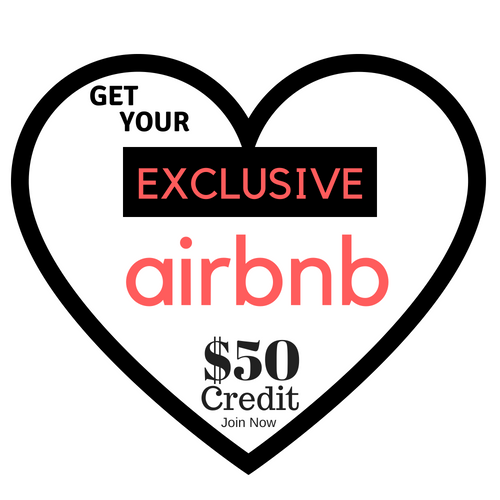 Have a look at your options for Airbnb houses here. When booking a hotel, if you stay somewhere close to Gion you will be close to the action. As usual, it is Japan, so the public transport is impeccable which makes it easy to get around. Your Suica Card from Tokyo also works here and you need the Hyperdia App for help with your train routes and timetables. Check out Expedia for help finding flights. We flew from Cairns (Australia) to Tokyo Narita Airport for only $300 per person return. This is a great article. I’m not planning to go to Japan any time soon but I am planning a trip to China with my girlfriend later this year. Maybe I can convince her to let me shoehorn a visit to Kyoto in the itinerary! Seems like a really fascinating place and I’d love to go one day. Thanks for the information – I’ll be bookmarking this website for travel advice! Awesome Jack, glad you liked it. China is an amazing country and plenty to see there! You will love it! I have always wanted to visit Japan (and now Kyoto is definitely on my list). It won’t happen as soon as I’d like as I have a newborn and a pre-schooler, but once the newborn is old enough, then I’m going to make it happen for sure. Will be bookmarking this, so I can refer to it when planning my trip – that’s Kyoto covered! 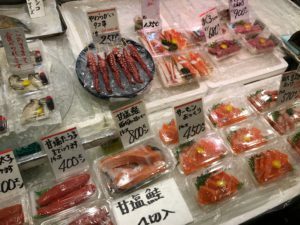 Do you also have a similar post that covers Tokyo?